As the Northeast US continues to recover from Hurricane Sandy, we are all reminded of the danger that hurricanes (now in some cases “superstorms”) pose. And with the admonishment that such storms might be stronger and/or more frequent in the future, we will all need to increasingly consider the negative impacts of these events on our own lives. 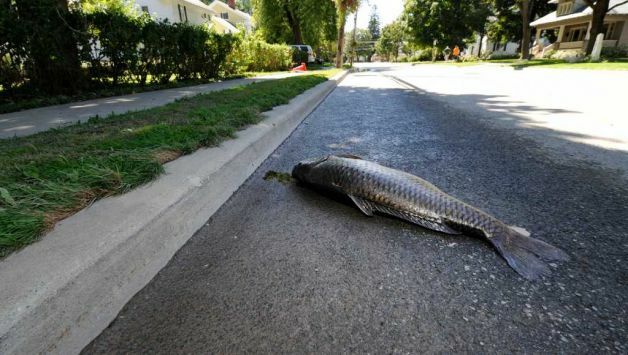 However, rarely do we consider how these natural disasters impact other species, such as fish. To a fish out at sea, the impacts of a hurricane are likely minimal, although we don’t really know. Of course, hurricanes are large enough to impact the water temperatures and temporarily overwhelm or compete with ocean currents, but conventional thinking suggests that offshore fish largely exist at depths great enough to not experience serious hurricane impacts. 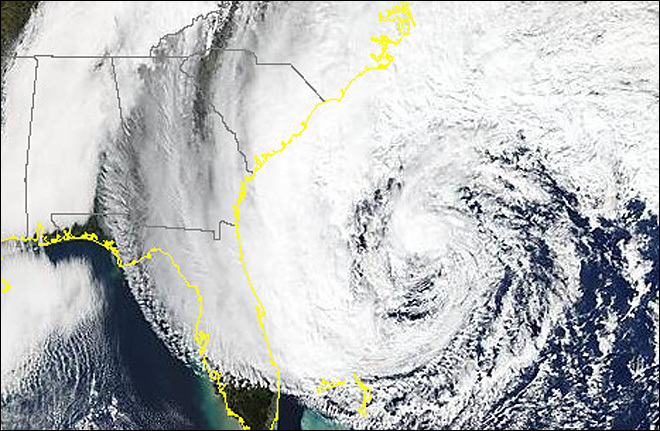 For fish inshore—particularly in estuaries—hurricanes are a whole different story. Freshwater habitats that are inundated by high flows and flooding are clearly impacted; however, many fish have adaptations to such conditions, and some even depend on flooding for temporary access to floodplain habitat for spawning and other activities. The habitats which are often impacted the most—partly because they often endure the worst of the hurricane—are coastal habitats such as estuaries, sounds, bays, and marshes. The primary threat in estuarine habitats comes from the rapid changes in inundation of fresh and salt water. Often as the storm approaches it brings with it a large storm surge (basically an area of higher water that travels with the storm) that overpowers fresh-salt mix of estuaries and can even force salt water into rivers. The opposite is true after the storm, too. 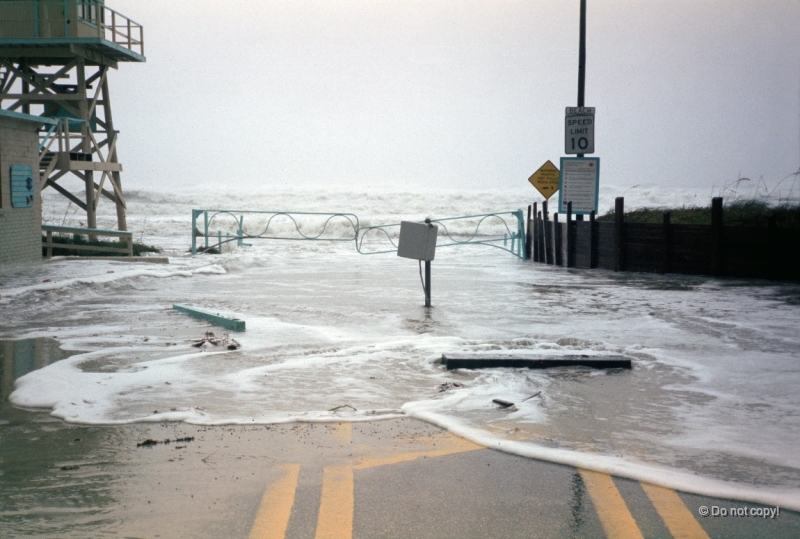 Once the storm surge has left, considerable rains have often fallen in-land and large volumes of freshwater begin to enter typically brackish environments. Although estuaries are known to be dynamic places, these salt and freshwater transitions associated with hurricanes are beyond the typical magnitude of changes that most fish are able to deal with. For example, high volumes of freshwater entering coastal habitats can be particularly threatening to estuarine fish as the less dense freshwater floats on top of the denser salt water. This stratification essentially quarantines estuarine and saltwater species, often in conditions of low oxygen as minimal mixing between the two water bodies takes place. In one of the few studies to date that reports on hurricane effects on fish, Ed Houde and co-authors documented notable distributional shifts in species after Hurricane Isabel in 2003. For example, a large number of freshwater species were documented in the main stem of the bay after the hurricane, likely the result of high flows. Additionally, high abundance of bay anchovy and Atlantic croaker observed in the lower portion of the bay can be explained storm surge. Another less-publicized impact of hurricanes on fish populations is the potential to release predatory invasive species from capture. 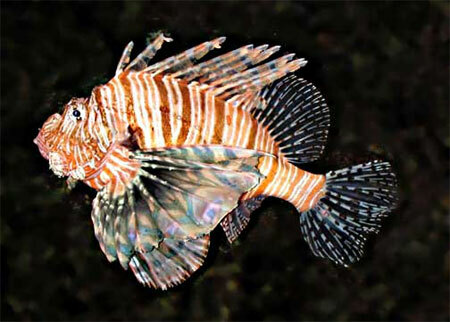 Some have posited the outburst in lionfish in the SE US Atlantic to be partly the result of several individuals escaping aquariums during the destruction of Hurricane Andrew. Of course, we cannot be sure about this and others have voiced their opinion to the contrary, but this hypothetical example is certainly not out of the realm of possibility in future events. 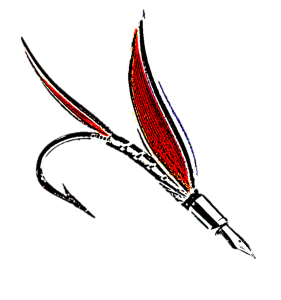 Ultimately, the effects of a hurricane on fish species are likely to vary considerably case-by-case and by factors like storm strength, storm timing, fish population status, habitat condition, and others. Hurricanes have been impacting coastal fish populations for millennia, so it stands to reason that species and populations have mechanisms to deal with such conditions. However, given the current stresses that fish populations are currently under—such as overfishing, habitat loss, hypoxia, and others—the pressures posed by more frequent hurricanes could tip the scales for some species. Previous Post Dam trout: How do trout populations respond to altered flow?